I loved ‘The Summer of Letting Go’. The story is beautiful and makes us want to turn the page to find out what happens next. Gae Polisner’s prose is smooth and elegant and flows like a river. There is not a single superfluous or redundant word. Reading the book was like taking a boat ride on the river on a warm summer day – very beautiful and enjoyable, though some of the themes that the book covers were serious. I liked all the characters in the story – it has been a long time since I last read a book where every character was likeable. The way some of the scenes were crafted with tension and conflict eventhough all the characters were likeable – that was very nicely done. I loved the way Frankie Sky spoke – his was a beautiful and original voice. It made me think of Jack from Emma Donoghue’s ‘Room’ whose voice I liked so much. In a book in which both the main characters have the same name, things could get a bit confusing, but Polisner navigates those waters masterfully and so though the same name leads to many interesting moments, there is no confusion. I loved the way the relationship between Frankie’s dad and Mrs.Merrill was described – so many things were left beautifully unsaid. I also loved the descriptions of nature that Polisner gives through the voices of her characters – they were some of my favourite passages from the book. I was a bit worried about the ending, because things could have turned out in many different ways that would have depressed me, but the ending was perfect. I won’t tell you though, whether it was happy or sad or something in between. You have to read the book to find out. 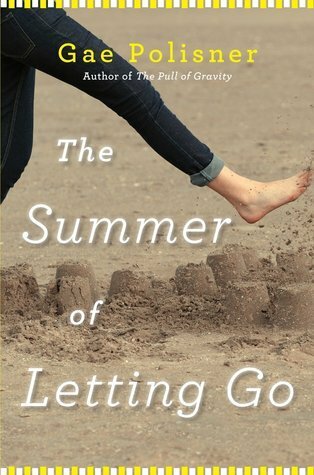 Have you read ‘The Summer of Letting Go’? What do you think about it? This is the second book that I read for the ‘Once Upon a Time’ challenge hosted by Carl.. I discovered ‘East of the Sun, West of the Moon’ by Jackie Morris, through Ana’s (from ‘Things Mean a Lot’) review of it. A fairy tale set in the cold northern lands, featuring a young girl and a polar bear – how can one resist it? I couldn’t wait to get it and read it and I finished reading it yesterday. Here is what I think. ‘East of the Sun, West of the Moon’ is Jackie Morris’ retelling of the classic fairytale with the same name. There are two parts to the story. 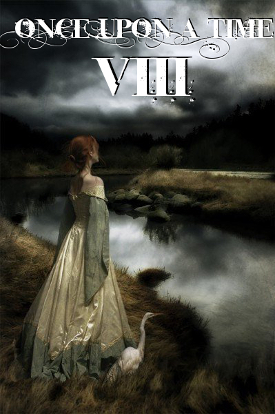 The first is a simple fairytale which reminds one of ‘The Beauty and the Beast’. The second reminds one of the story of Psyche and Cupid. In the first part, a polar bear one day enters a city and knocks at the door of a refugee family. When the father opens the door, the bear tells him in his native language that he has come to visit them. He later tells the family that he has come to invite the eldest daughter of the family, our heroine, to come and live with him. In return the bear will make all their problems go away. The family is reluctant to accept this idea, but the girl agrees and goes to live with the bear. The bear takes care of her and she is happy. But there is a secret (and here comes the Psyche and Cupid part). After the girl has fallen asleep in the night, the door quietly opens and someone enters the room and lies next to her. When the girl tries to light a lamp to find out who it is, the matches and the lamp don’t work. The girl keeps quiet about this and doesn’t mention it to the bear the next day. But this scene keeps recurring every night. One day the girl is homesick and asks the bear whether she can visit her family for a short while. The bear agrees and takes her home and tells her that he will be back after a month and a day to take her back. The girl discovers that her family has been well provided for and her parents and siblings are happy. When she tells her mother about the strange person who visits her room during the night, her mother gives her a box and tells her to use it when it happens the next time. A month and a day later, the bear comes back and takes her back to its home. That night, the bedroom door opens and someone comes in and lies next to our heroine. After this person has gone to sleep, our heroine opens the box her mother has given and finds a candle and some matches. She lights the candle and it works. She shows the light on the person lying next to her and discovers that he is a handsome young man. But this handsome young man wakes up and then there is sorrow in his eyes and he says that everything is lost. When the girl, who loves the bear by now, and who realizes that this handsome young man might be the person who appears as the bear during the day, asks him what was wrong, this young man tells his story. He tells her that he is a prince who has waited for her for a thousand years. He was supposed to marry the Troll queen’s daughter, unless he found a woman who loved him willingly when he was in the form of a bear and came to live with him and lived in his place for a year and a day. And he was not supposed to reveal his human form to her. But now that our heroine has lighted the candle and seen the prince’s original form before the year and a day period was over, he has to leave the next day to the castle which was at the east of the sun and the west of the moon and marry the troll queen’s daughter. The prince and our heroine spend the night in each other’s arms, mourning what they had lost. Our heroine tells him that she will come and find him wherever he is and get him back. The next day morning when the girl wakes up, there is no castle, there is no bear and there is no young man. She is lying in the forest with her bundle. She decides to go in search of her sweetheart and she is ready to go to the ends of the earth to get him back. Is she able to do succeed in her quest? The answer to that is the rest of the story. So, what do I think of ‘East of the Sun, West of the Moon’? I loved it. Mostly. Let me explain that more. I loved the story. The way the fairytale of the Beauty and the Beast merged seamlessly with the story of Psyche and Cupid, and the way it is set in today’s world in which the heroine of the fairytale is a girl who is a refugee from her homecountry and how that blended seamlessly with the rest of the fairytale – this was all beautifully done. I loved the heroine and the polar bear, the three women who help the heroine, the four winds. I liked even the troll’s daughter for the way she passionately loved the prince. The watercolour paintings of Jackie Morris are stunning. I am not exaggerating here or praising Morris just for the heck of it. The paintings are really and literally stunning. The book can be read just for the artwork alone. And then there is Jackie Morris’ prose. Purple is one way to describe it. It is probably the very definition of purple. There are beautiful sentences in every page and I enjoyed reading those sentences again and again. Each of those sentences was sculpted by a fine hand and a sensitive mind. It was as if Jackie Morris was born to write and illustrate fairytales. To give you a feel for the flavour of Morris’ purple prose, I will include a few of those gorgeous sentences and passages here. A flower of orange flame blossomed so bright and a petal caught to the candle wick. …golden leaves of autumn played a beautiful tune with the breeze, and the light painted dappled gold pennies on the rich earth beneath horse’s hooves. …the hot wind of the desert stroked her cheek like a kiss, and she turned to see, far out on the horizon, the sand moving like water, wave after wave rolling towards them, sand made liquid by the force of the wind. All through the desert the wind teased her, tangling his fingers through her hair and winding it into tresses so that no matter how she tied it, before long ti would weave around her head like snakes. He stroked her cheeks, blew cooler air when the heat became too much. He played with her. He drew shapes in the sand with tumbling weed for her He swept up waves of sand and shaped them to run behind her like wild wind horses, a great herd, keeping pace with her horse. He caught snatches of music and carried them to her ears, at night, gentle lullabies, in the morning, birdsong. He blew a flower over the desert and placed it in her hand. The first thing about the ending was that it was a surprise. It is not that I didn’t see it coming. Morris leaves clues for the reader and we half expect it. Still, it is surprising. A fairytale which doesn’t end with the prince and the princess marrying and living happily everafter, has a surprise ending. I wouldn’t say that I didn’t like the ending (or to use a stronger word – I wouldn’t say that I disliked the ending). The ending was good, though surprising, and in some ways it was geared to our modern way of thinking and was perfect in its own way. But there was a dissonance there when we related it to the rest of the story. Without telling you what the actual ending is, I will use the example of another fairytale. Let us take ‘Rapunzel’. After Rapunzel is thrown out of the tower by the witch and the prince goes blind, towards the end of the story, the blind prince hears Rapunzel’s voice singing in the wilderness and he finds her and they are united and Rapunzel’s tears of joy cures the prince of his blindness. The traditional fairytale ends after this with Rapunzel and the prince living happily everafter. Let us say that this story is retold and the reteller changes the ending and the new ending goes like this – after the prince is cured of his blindness, Rapunzel thanks him for saving her from the witch and also says that she is happy that the prince’s blindness is cured. But then she adds that now that both of them are free, they should be able to do what they want and the prince doesn’t need to feel obligated to marry her and neither should Rapunzel feel that way. Each of them can live their lives the way they want, fall in love with whomever they want, get married or not, travel the world etc. and enjoy their freedom. Well, it is not a bad ending, but it takes away the magic of the fairytale. Something like this happened at the end of Jackie Morris’ retelling. I didn’t dislike it, but I was disappointed with it. So, would I recommend ‘East of the Sun, West of the Moon’? Yes, with all my heart. It is a stunningly produced book and the artwork and purple prose alone are good enough reasons to read the book. And don’t worry about the ending. Maybe you will like it more. 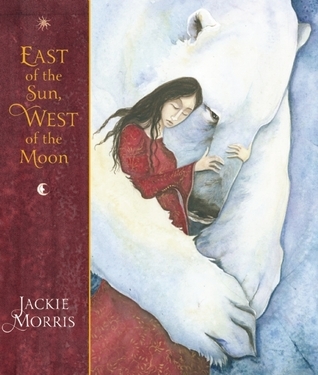 Have you read Jackie Morris’ ‘East of the Sun, West of the Moon’? What do you think about it? I have never participated in the ‘Once Upon a Time’ challenge. This year, I decided on a whim, to participate in it. It is always exciting to read fantasy, folklore, fairytales and mythology, isn’t it? 🙂 It is always fun to plan for an event and think about books to read and write a post on one’s potential reading list. But I have mostly veered off from my planned lists in the past, and so I am not going to do that now. I am going to just read spontaneously and see what that takes me. The first book I read for this challenge was ‘The Luck of Troy’ by Roger Lancelyn Green. I loved Roger Lancelyn Green’s retelling of the Greek and Egyptian myths and the Arthurian legends. There was one book of his that I hadn’t read and that was ‘The Luck of Troy’. It is a novel version of the Troy legend and the story of Helen, Menelaus and Paris. So, I thought I will get started with this. Though I enjoyed reading ‘The Luck of Troy’ and found it interesting to look at things from young Nico’s perspective, for some reason, the book as a whole didn’t work for me. Maybe because I was familiar with most of the events of the story (though I had also forgotten most of them) and the retelling wasn’t fresh enough. Or maybe because it is an old story which we have heard so many times, there is no way to get a new fresh perspective here. I don’t know. Or maybe there was some other reason. I also felt that as Green was trying to stay loyal to the original story and so gave the original events a lot of importance, he missed out on exploring the relationship between Polyxena and Nico and Hermione and her cousins in more depth. Also, I wasn’t sure about his portrayal of Helen. When I first read about her in primary school, the story was that Paris kidnapped her. So, I thought that Paris was the bad guy, while Helen was a good woman. But after growing up the version I read said that Helen eloped with Paris. That made things more complex. It made me think whether what Helen did was right – abandoning her family and her daughter and running away with another man. Now, my thinking of the story has changed again. I feel now that Helen probably fell out of love with her husband and was attracted to another man and wanted to explore that relationship. By our modern day standards, there is nothing wrong with that. It happens all the time with normal people. So, why can’t a queen do that? Well, as we grow old, our points of view keep changing. But I wasn’t sure what the book said. It seemed to depict Helen as an innocent person, who also eloped with Paris, but then blamed him for the elopement, thus making him to be the bad guy. I wasn’t exactly convinced with that. I don’t know whether that is the original version of events. The book also showed Paris to be a bad man – someone who seduced Helen but who is nasty everyday to her and to others. That is not the Paris I remember at all. The Paris I remember was a handsome, sensitive man whom women found attractive, who played the flute and melted their hearts, but who was also not a soldier or a warrior, who was not somebody who can fight a battle and shed blood and win, but someone who avoided fighting. So, I am not sure whether my perception of Paris is true or whether Green’s description is. There is some good news too. There were some interesting things that I learnt from the book. Some of these were : Hermione is the daughter of Helen and Menelaus. (It made me wonderful whether Hermione Granger from the Harry Potter series is named after her.) Clytemnestra, Agamemnon’s wife, is Helen’s sister (I didn’t know that!). Penelope, Odysseus’ wife is Helen’s cousin. (Really? I didn’t know that!) It was also interesting to read Palamedes’ story. The book depicts Palamedes as a bad guy – he is a Greek who helps the Trojans to kill Achilles – while when I checked in Wikipedia, it said that Odysseus didn’t like him and committed treachery and got Palamedes killed. Very interesting! ‘The Luck of Troy’ was in some ways interesting, but also in some ways disappointing. I don’t know whether this is because this book is not as good as other books by Roger Lancelyn Green, or whether this is because it is written for younger readers and I have finally grown up and so am not able to relate to it. (I sincerely hope that I have not grown up!) I hope to read Green’s mythological retellings again and find out. I have another book by Francesca Petrizzo which tells the story from Helen’s own perspective. I would like to read that too and see whether I like it more. 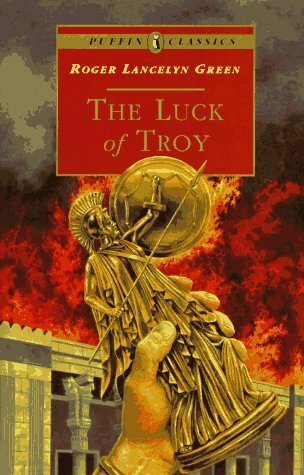 Have you read ‘The Luck of Troy’ by Roger Lancelyn Green? What do you think about it? Which version of Helen and Paris do you like more?